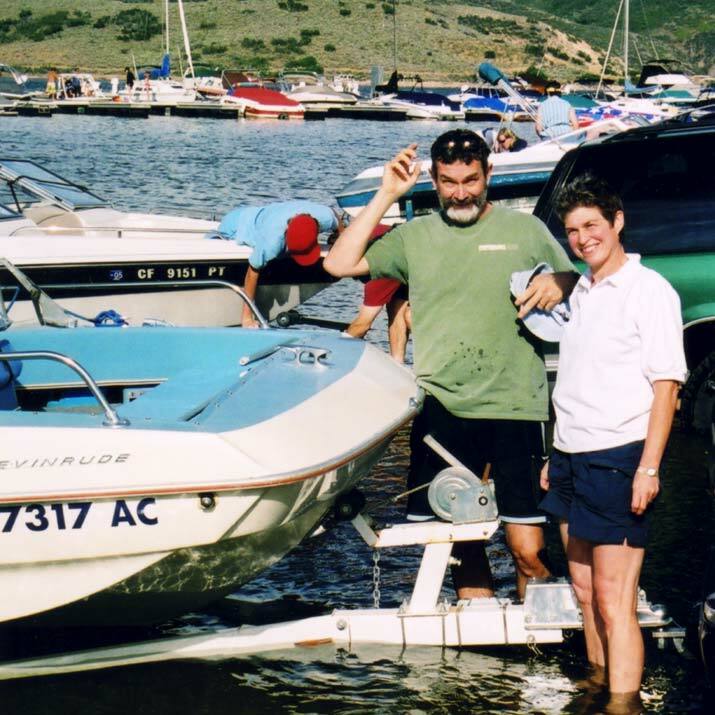 At first we named this boat the SPORT - 16, to call attention to the way it fits -- trailer, stern drive, and all, inside a standard 20-foot garage. But this was like calling a small-mouth bass a pan fish. We'd have been a lot closer to the mark if we had named it the SHORT - 18 -- because it's really not a 16-footer at all. It's an 18-footer in everything except the last 2 feet of nose length, (And what can you use that for?) It has more cockpit space and walk-around-room than the roomiest "18's." It has more floatation, greater stability, and better sea-keeping qualities than the biggest, beamiest convention "18's." It weighs as much or more. And it rides more like a 20-footer than an "18." It's the first of a new breed of all-purpose boat that's convertible in minutes for all kinds of fun. Snap on the vinyl-coated nylon deck cover and it's a smart runabout. Face a front seat aft and it's a ski boat. Turn the rear seats around and it's a big water fishing boat. Take the seats ashore for beach partying. Take them out altogether for skin diving. Or move them cheek-to-cheek for moonlight cruising. The Evinrude SPORTSMAN is luxury-built from stem to stern drive. It's contour-molded, foam-filled bucket seats contain their own lift out life preservers. The walk-through folding windshield makes docking or going ashore as easy as stepping on or off a curb. Lifting eyes and fender cleats are built in. So is complete wiring and instrumentation. Bilge pump and blower, and cigarette lighter and chart light are standard equipment. 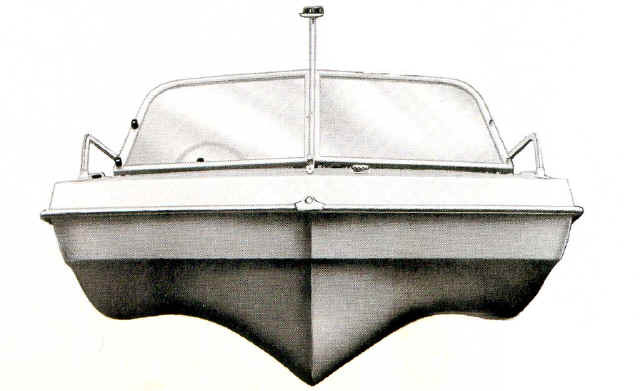 There are generous storage areas fore and aft, and eight-foot ski and rod-racks on either side. And the equivalent in shrink-proof, moisture-proof floatation of 73 life preservers under the floor. It comes in an outboard model or with your choice of three Evinrude stern drive engines. (1) The budget-priced 90 hp two-cycle V-4, (2) the silk-smooth 120 hp four-cycle in-line four, (3) or the high-stepping, 40-mph-plus 150 hp four-cycle V6.